In one of the most significant brand expansion in the history of luxury travel and hospitality, Crystal Cruises is not only introducing new ships to its fleet effectively establishing three brand new classes of cruising, but also inducting two commercial airliners to launch Crystal Luxury Air in 2017. In one of the most significant brand expansion in the history of luxury travel and hospitality, Crystal Cruises will not only introduce new ships to its fleet effectively establishing three brand new classes of cruising, but also induct two commercial airliners to launch Crystal Luxury Air in 2017. We are continuously learning more about the important role than air connectivity plays in supporting the cruise industry. However, we are now also seeing cruise operators take to the air, replacing their ships with luxurious airliners as they diversify into new markets. More than 25 years after Crystal Cruises set its course as a leader in luxury cruising with the launch of the first of three ships, the world’s most awarded luxury cruise line is charting a new, much more vast, route. In one of the most significant brand expansion in the history of luxury travel and hospitality, Crystal Cruises is not only introduce new ships to its fleet effectively establishing three brand new classes of cruising, but also inducting two commercial airliners to launch Crystal Luxury Air in 2017. 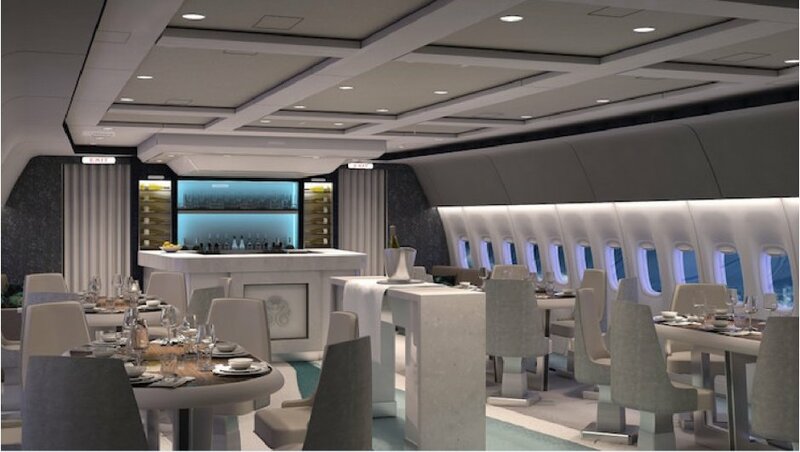 As part of Crystal’s brand of Six-Star luxury, Crystal Luxury Air will set a new first in the luxury travel industry by offering extravagant around-the-world trips. Each approximately 28-day itinerary will visit 10-12 remote and/or sought-after locales, with accommodation at some of the world’s finest hotels and resorts; cuisine prepared by celebrity chefs inspired by the destination; and world-class cultural entertainment. These were originally due to be flown using a single Boeing 787-8 Dreamliner with the modern generation jet configured with just 52 fully reclining First Class seats rather than the around 220-seat arrangements of commercial airline operators. Now, Crystal Cruises has confirmed that it will actually introduce a second airliner into its fleet for its 2017 launch with the purchase of a Boeing Business Jet 777-200LR. The twin-aisle 777-200LR BBJ will be redesigned to accommodate just over 80 guests with flat-bed First Class seats; a lounge and bar; and will offer 14- and 28-day around-the-world and international itineraries, including coveted destinations to which major airlines do not offer non-stop service. With the world’s first fully bespoke luxury Boeing 777 due for delivery in autumn 2017, Marc Cavaliere, senior vice president, Crystal AirCruises and Crystal Luxury Air, the man in charge of delivering the company’s vision has highlighted the innovation and planning that has gone into the design, and delved deeper into what guests can expect from the ground-breaking facilities and itineraries. Cavaliere’s first challenge on the AirCruises project was choosing the right aircraft: “If we just wanted to move passengers from A to B, we could have bought a smaller, cheaper narrow-bodied aircraft, but we wanted bigger and better,” he said. 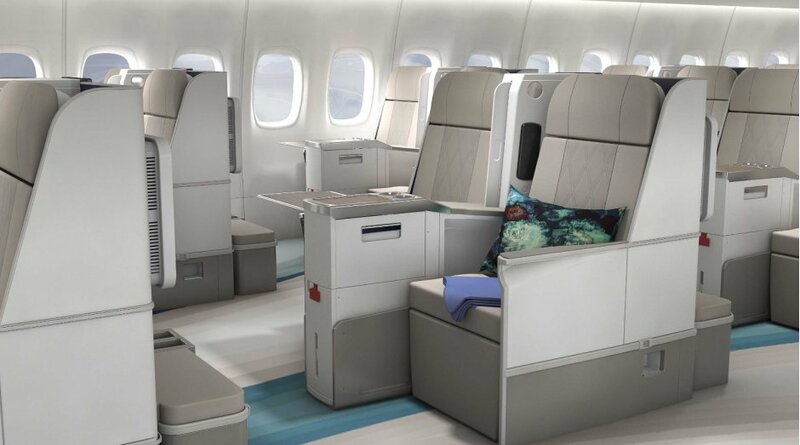 The wide-body 777-200LR provided the best space ratio, allowing the most options for customisation and the greatest level of comfort for its 84 passengers (versus the usual over 300 the type accommodates on scheduled flights). The model is also the world’s longest-range airliner – essential for the unique round-the-world air cruise itineraries that it will provide. The approach for the interior was to completely tear it down and rebuild from scratch. This wasn’t easy, but it also meant that Crystal could factor comfort and luxury into every detail of the interior, from the extra-large bathrooms to the impressive wine cellar (the most extensive in the sky). It isn’t just the systems and fittings that are entirely new. The AirCruises experience is also a first. Crystal’s curated itineraries are inspired by real conversations with guests, and will use exclusive air connections that aren’t available through commercial airlines. Even the airport experience is customised. Marc said: “To give guests the best service possible, as much as we can we try to keep away from the main terminals at our airports and use private terminals, which can sometimes be a challenge with a wide-body aircraft.” And the unique range of far-flung destinations in the itineraries means having to coordinate with airports of different sizes, from Los Angeles International Airport to Mataveri International on Easter Island – one of the world’s remotest airport. “Many of our air cruise butlers come from the ships themselves. Furthermore, every AirCruises butler will have spent time serving our guests on our ships. It’s so important that our DNA translates perfectly from the sea to air experience,” he added. Cavaliere’s final words on the airliner project put into perspective how exclusive the AirCruises itineraries are: “The aircraft is one small part – the real blow-you-away is the experience at the destination and journey from start to finish,” he said.